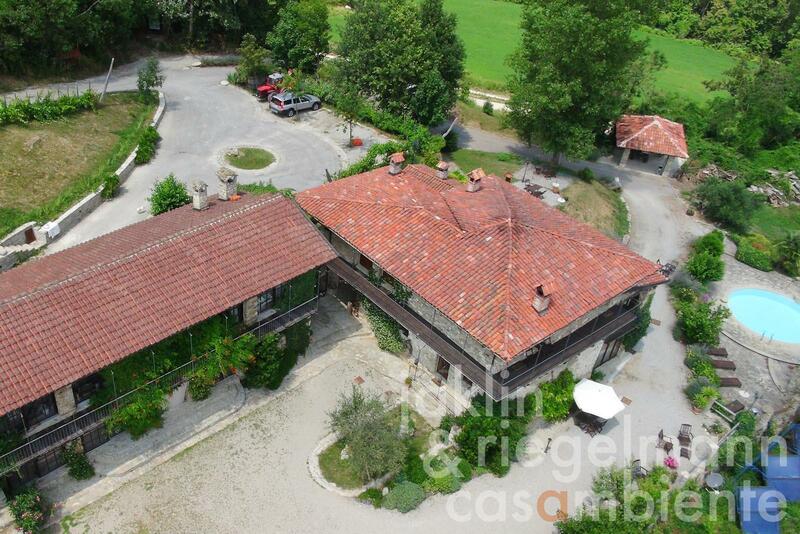 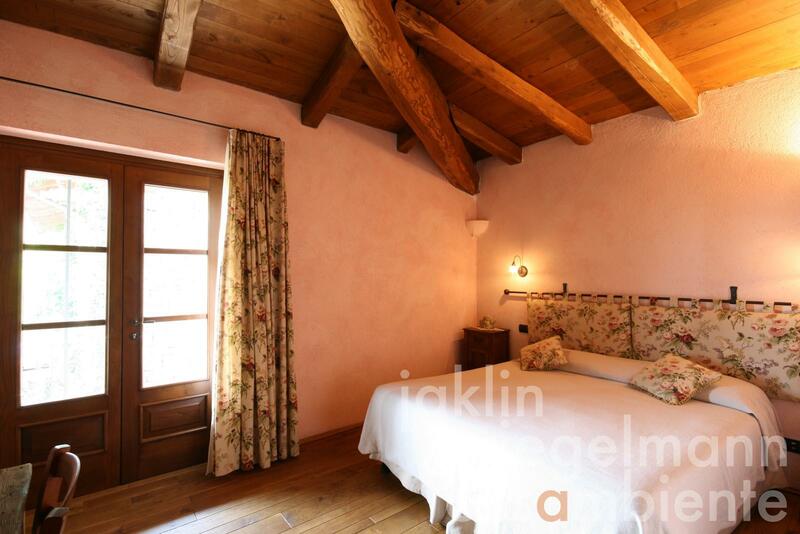 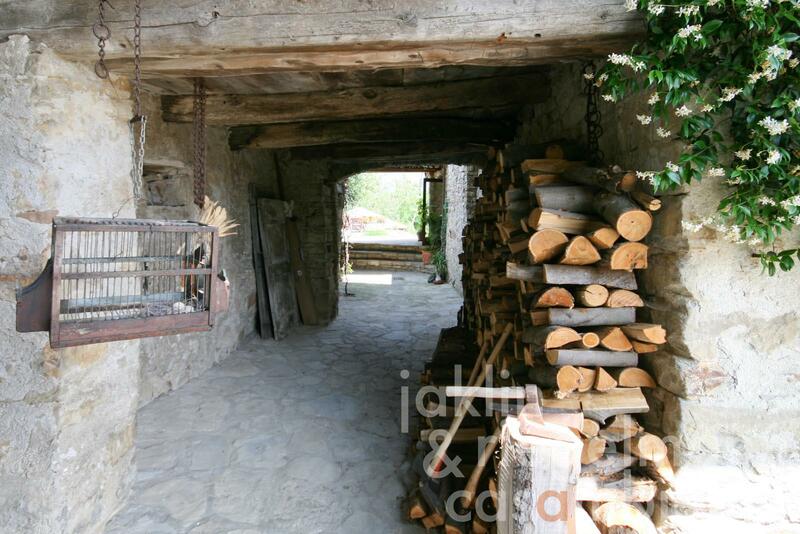 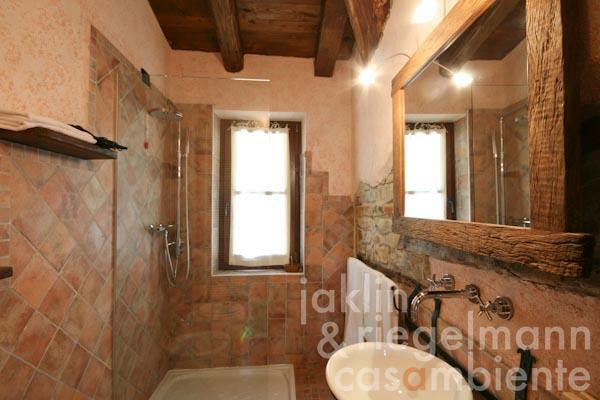 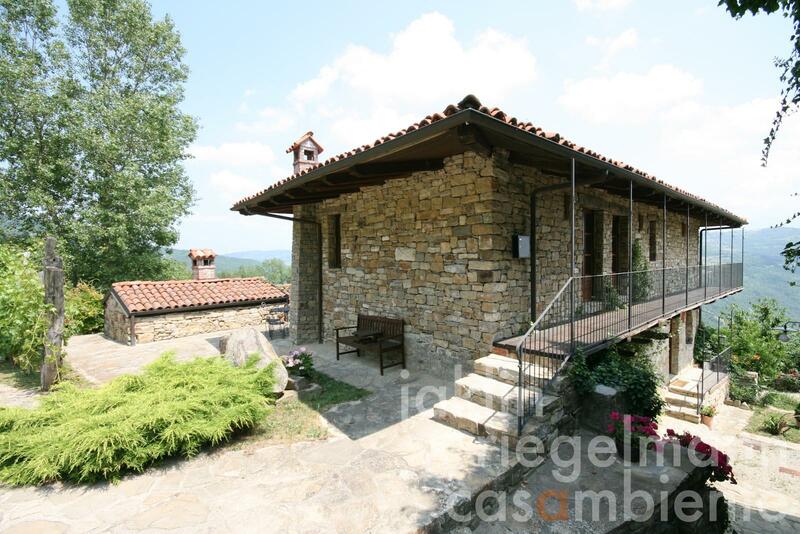 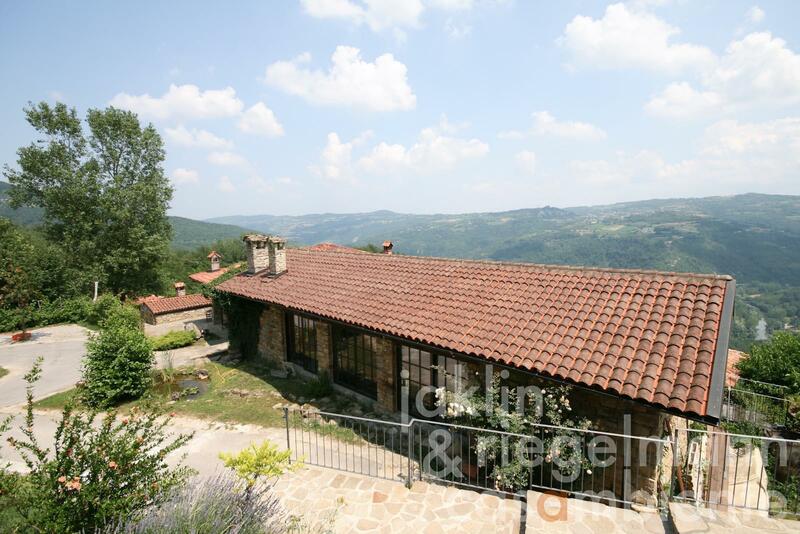 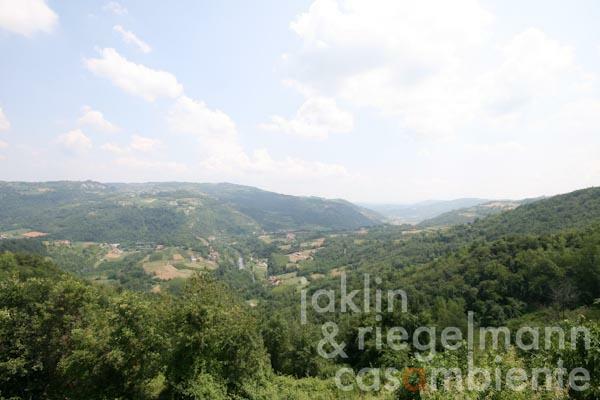 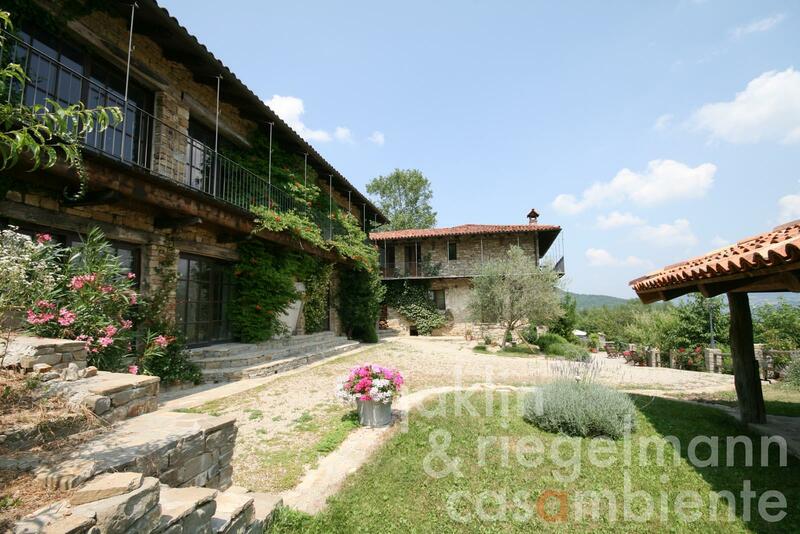 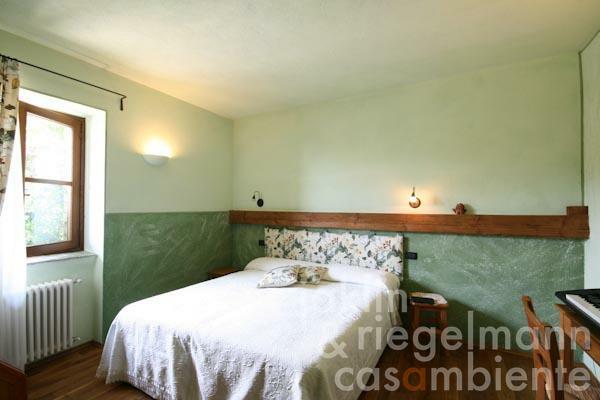 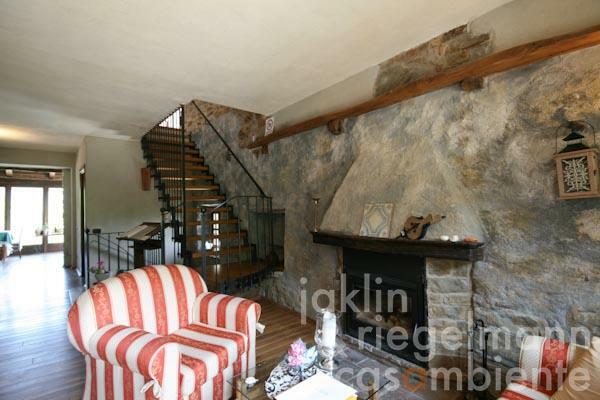 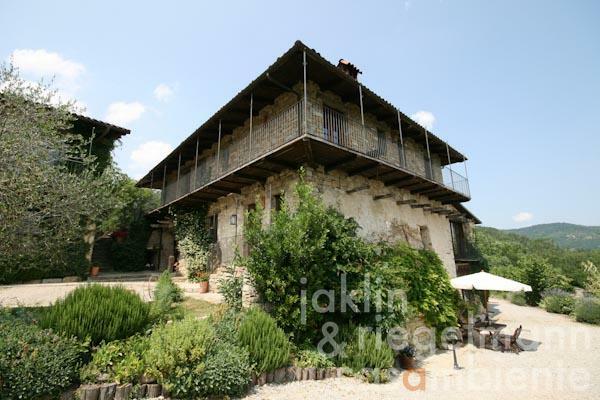 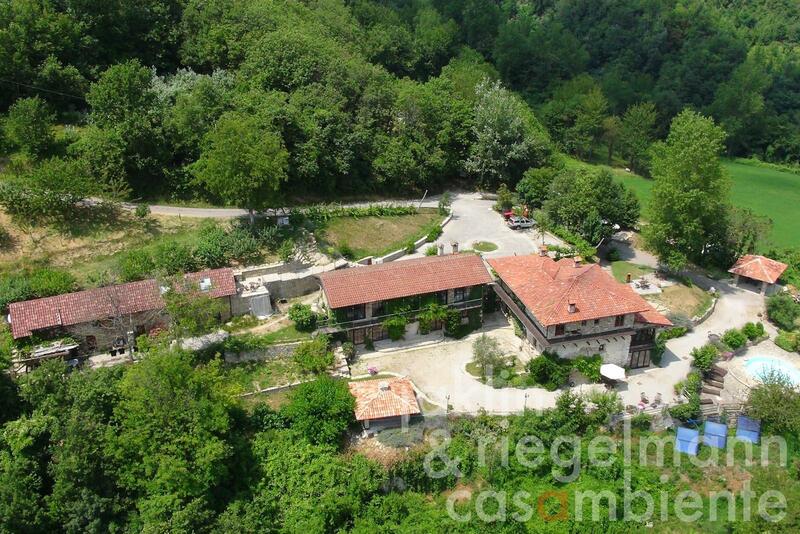 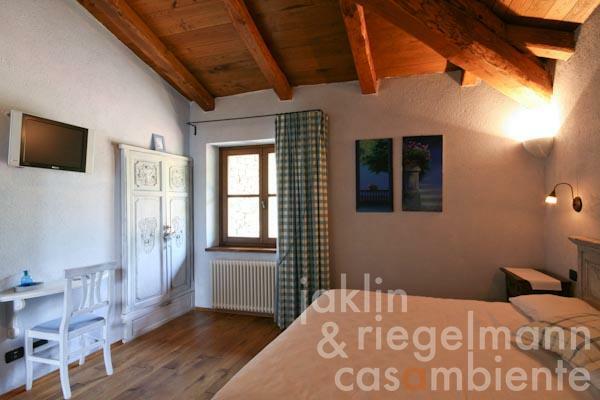 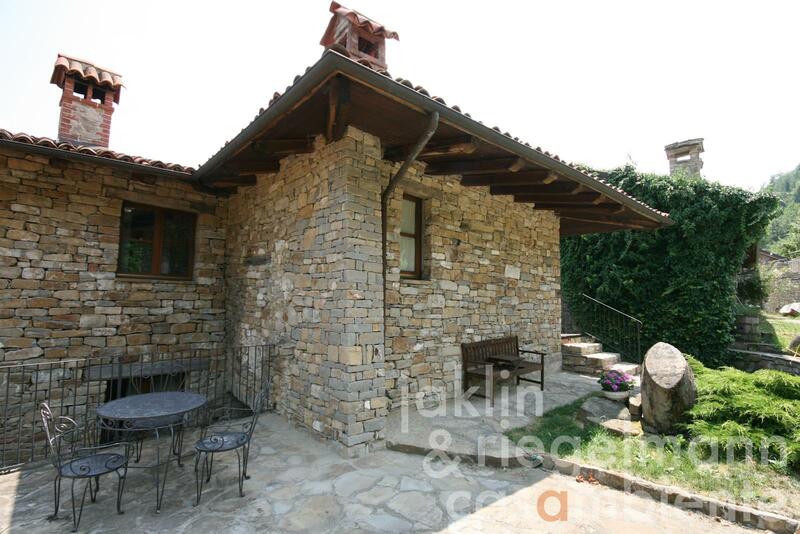 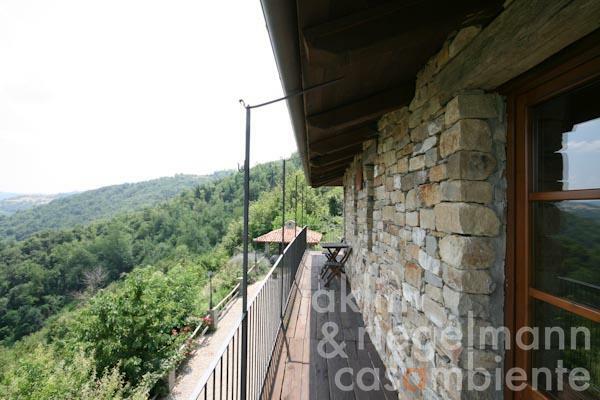 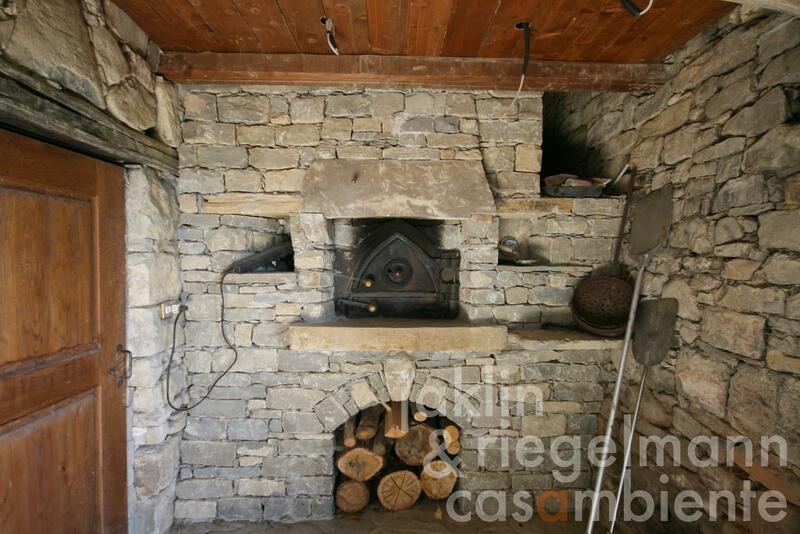 Country estate for sale in the province of Cuneo in Piedmont in Italy. 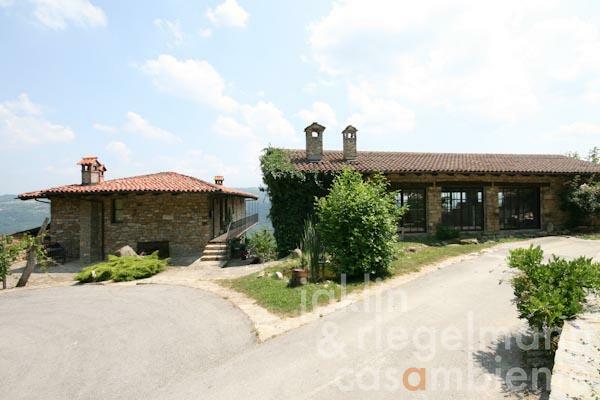 The country houses are located close to a historic hamlet and offer marvellous panoramic views across the Piedmontese landscape. 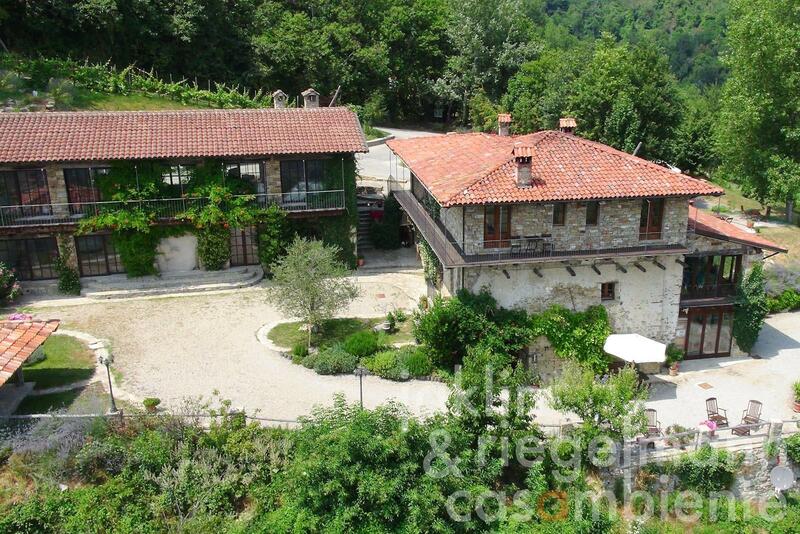 The road leads to the turning area with car parking in front of the Borgo, steps lead in natural stone leading to the three buildings and the pool below. 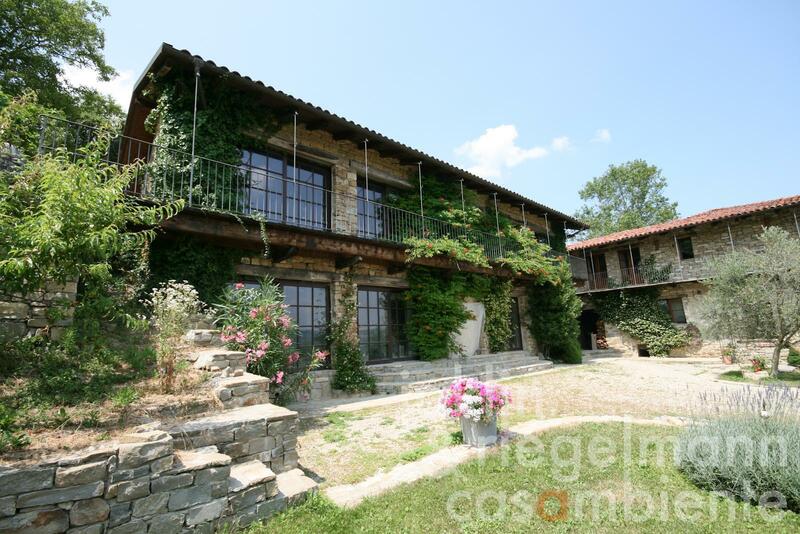 The first building (about 366 m²) stretches over three floors. The lower floor is divided into a hallway, kitchen, office, pantry, changing room, bathroom, storage room and a veranda. 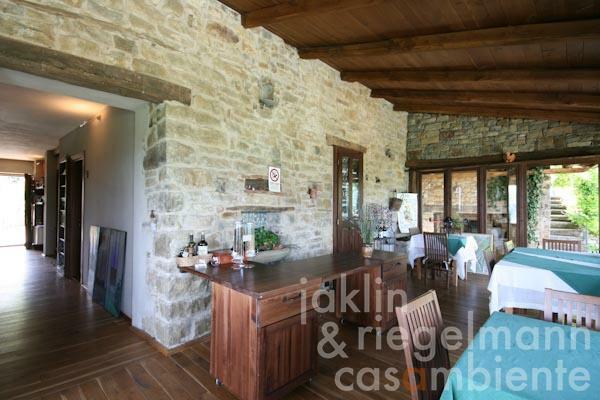 The ground floor offers a reception area, a breakfast and dining room with large windows, two bedrooms with en-suite bathrooms wheelchair accessible, a guest WC, boiler room and a wood-fired bread and pizza oven. 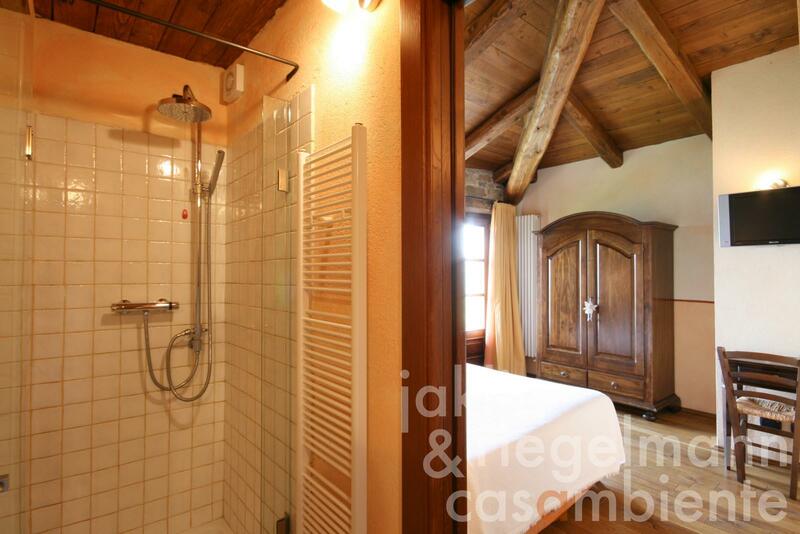 The first floor offers four bedrooms with en-suite bathrooms. 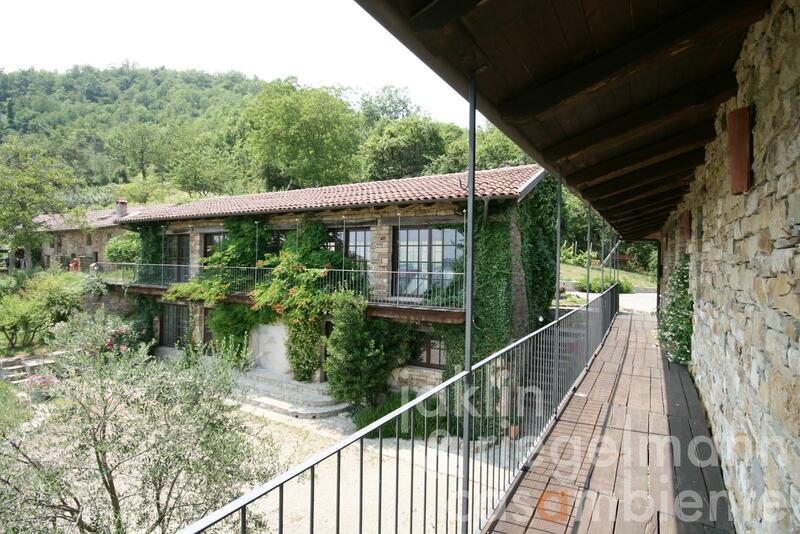 The second building (about 180 m²) is currently finalised and captivates with large French doors. 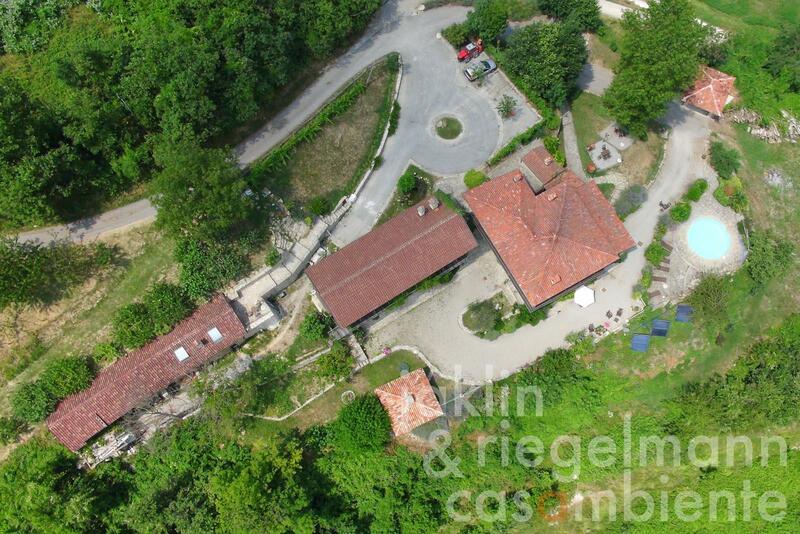 The third elongated building (about 170 m²) features an office and a new guest apartment on the first floor. 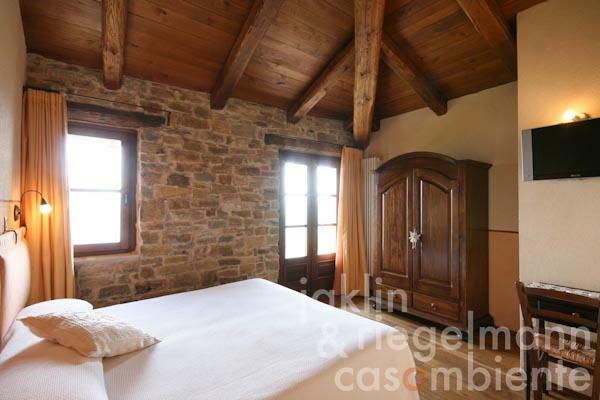 The ground floor offers several rooms as cellar and storage. 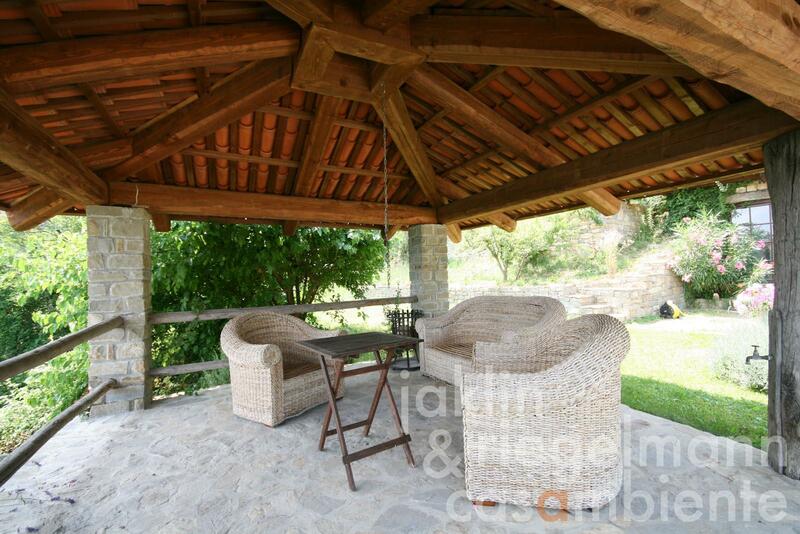 A pool and two covered sitting areas invite to spend the days outdoors. 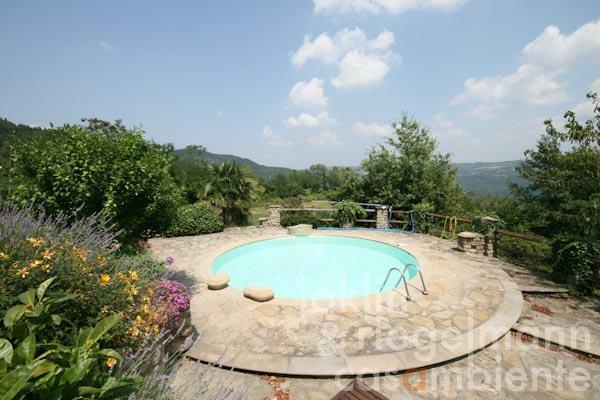 The panoramic views across the valley, which is open on both sides, and onto the opposite ridge with a castle let the eyes travel. The property for sale was restored by a German architect. The property can be extended with two adjacent houses. 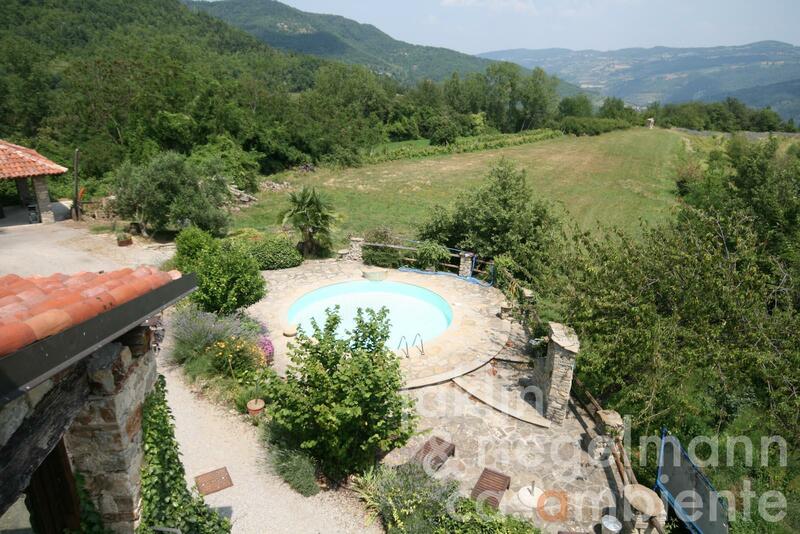 1.37 ha with terraces, garden and meadows. Electricity, mains water, central heating, solar thermal system, fireplace, gas tank, telephone, broadband internet access, swimming pool, balcony, private parking, terrace, garden.